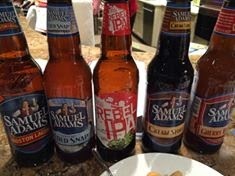 February's featured beer at Dierbergs' Cheese and Beer class was Samuel Adams and I have to admit that I don't know much about their beers. For example, the brewery actually started in St. Louis until the prohibition got in the way and had been located where Big Daddy's is now on the landing. Our "welcome beer" was their most popular Boston Lager and it's quite an easy drinking "light" beer so I can see how it is so popular. I didn't drink much since I wanted to save room for the newer beers. Starting from the lightest beer, the "Cold Snap" is a hazy, unfiltered wheat with lots of citrus flavor. Perfect for summer time and my favorite kind of beer. The Carr Valley (same makers of my favorite Midnight Moon) Red Wax Fontina had a cooked butter smell and a nutty finish so when you paired it with the yeast flavor of the beer, and added some cashews as well, you ended up with a "PBJ" explosion in your mouth. 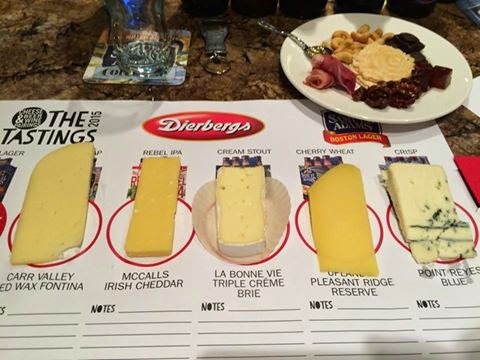 One of the reasons why I love these classes is because the combinations of the cheese with other ingredients, just makes for a delicious experience thanks to Cheese Pairing expert, Michael Landis, of Gourmet Foods International. This time around,each person got a side plate of treats of their own! I am not the biggest IPA fan and I can certainly understand why a strong McCalls Irish Cheddar was needed to handle this beer. The hops were definitely overpowering in the Rebel IPA so a 12-month aged, crunchy cheddar helped to tone down the hops. And when you mixed in some milk chocolate with the cheddar...the flavor in my mouth ended with a sweet finish! I was really surprised. I immediately thought of Patience when I tasted the Cream Stout since it's the perfect beer for her. You get a full taste of coffee and tobacco and burnt toast flavor. I thought that the beer overpowered the La Bonne Vie Triple Creme Brie for sure, but I do admit that the combination of the two along with the fig fruit paste ended up with a "toast with butter and jam" flavor. The sweetness from the fig really helped to make the beer less intense. My second favorite beer was the Cherry Wheat because I love fruity beers. This Ale was not aged long at all and has a big maraschino cherry nose with a short finish. But when you combined it with the chocolate, you end up with a tart dessert! The Uplands Pleasant Ridge Reserve had very little flavor to it and was there to help tone down the fruit flavor. While not a beer, I did enjoy the Angry Orchard since I love cider beers too. Now we had a big apple flavor from start to finish. I never would have thought to pair a blue cheese (Point Reyes Blue) with a cider beer, but both have an intense flavor and even more so together. 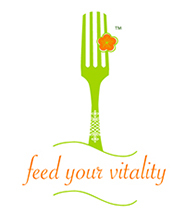 The crisp flavor also helps to cut through the cheese as well. The spoonful of honey also helped to tame the cheese here for an "apples and honey" combination. 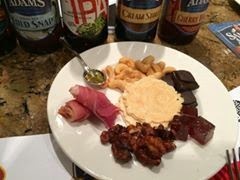 More beer and cheese pairings are coming up next month and the featured beer will be Schlafly! !